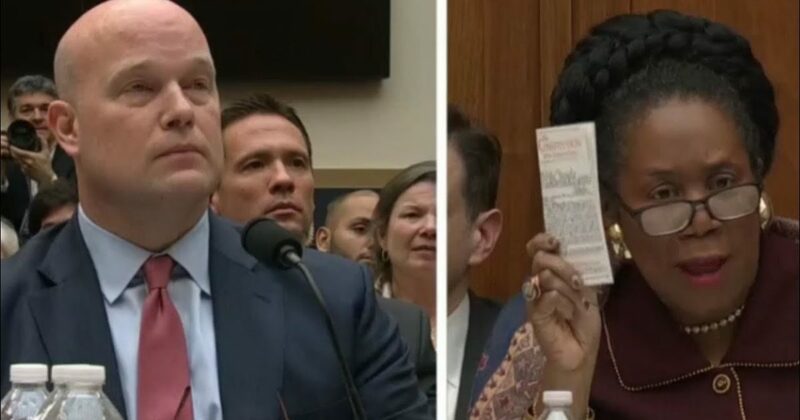 The questioning of acting Attorney General Matthew Whitaker in Friday’s House Judiciary Committee hearing was off-the-rails improper. Whitaker gave as good as he got, but the Democrats largely achieved their goal of setting up indictments for those around President Trump and ultimately impeachment of the President, which they will likely succeed at, knowing they will never get a conviction in the Senate, but able to distract enough energy and momentum from the Trump agenda to impair it to some degree. It is my opinion that Whitaker and all Republicans should refuse to participate in future House Judiciary Committee hearings public lynchings. They are nothing more than Democrat shooting galleries, held only to paint Whitaker, the GOP, and President Trump as corrupt and conspiratorial. There is nothing to gain and everything to lose by voluntarily participating in the Democrat hearings or even complying with subpoenas. Whitaker and all Republicans should refuse to appear, as did Eric Holder who simply accepted his meaningless Contempt of Congress charge. The questioning of Swallowswell and other Democrat scum makes it clear that they have one goal, to indict President Trump and those around him for anything they can. Whitaker and GOP should refuse to participate in future public lynchings. Nothing to gain. Everything to lose. Ranking Republican committee member Doug Collins stood Swalwell up for his irrelevant questioning and brazen disrespect. Swalwell accused Collins of trying to act as Whitaker’s attorney and suggested he “go sit down there” beside Whitaker. What I don't understand is why the GOP does not open investigations on these Democrats. They are slimy swamp rats and all of them will wind up in jail instead of doing all they can to put Republicans in jail. Fight, dammit! Ted Lieuser clearly shows the Democrats' hand with his questioning that is totally irrelevant, disrespectful and meant only to intimidate the president, his family, and those around him. Following is video of the entire Whitaker hearing. WARNING! If you are on blood pressure medication, be sure to double your dose no less than one hour prior to viewing….